Paxil is one of the most potent selective serotonin reuptake inhibitors (SSRIs). Women who take the antidepressant during pregnancy have an increased chance of giving birth to a baby with autism and birth defects. Paxil is not approved for use in children. Paxil is the trade name of the medication paroxetine, which is prescribed to treat major depression and social anxiety, among other disorders. It and other SSRIs work by preventing receptors in the human brain from reabsorbing already released serotonin, the neurotransmitter that is thought to help people maintain feelings of well-being. By preventing serotonin reabsorption, Paxil helps people sustain an optimistic mental equilibrium while alleviating negative feelings. Paxil was first marketed by SmithKline Beecham, a British pharmaceuticals company that is now GlaxoSmithKline (GSK) following a series of corporate mergers. The U.S. Food and Drug Administration (FDA) approved Paxil in 1992, and by 2007 it was the fifth-most prescribed antidepressant in the U.S. with more than 18 million yearly prescriptions. GlaxoSmithKline experienced numerous legal problems and settled claims for repackaging and mislabeling Paxil, engaging in sham litigation to forestall generic manufacturing of the drug, withholding Paxil safety information and unlawfully promoting the use of Paxil in children. GSK has also paid billions of dollars to resolve Paxil lawsuits related to birth defects, withdrawal, and suicides. Similar to other SSRI drugs, Paxil carries side effects that range from irritating (drowsiness) to problematic (sexual dysfunction) to severe (suicidal thoughts and birth defects). The FDA issued a black box warning for Paxil concerning suicidal thoughts and behavior in children, adolescents and young adults, particularly those with major depressive disorder. The drug’s label warns anyone age 24 or younger to carefully weigh these risks with the clinical need. The warning also states that anyone taking the medication should be watched closely for signs of suicidal behavior and other significant behavioral changes. Short-term studies did not show a significant increase in the risk of suicide in adults older than 24. Paxil is also linked to serious developmental disorders in babies born to mothers who took the drug while pregnant. A 2015 study published in JAMA Pediatrics found that mothers who took SSRIs like Paxil while pregnant had double the risk of having a baby with autism. In 2014, Johns Hopkins University researchers reported that boys with autism were nearly three times as likely to have been exposed to Paxil and other SSRIs in the womb compared to their typically developing counterparts. 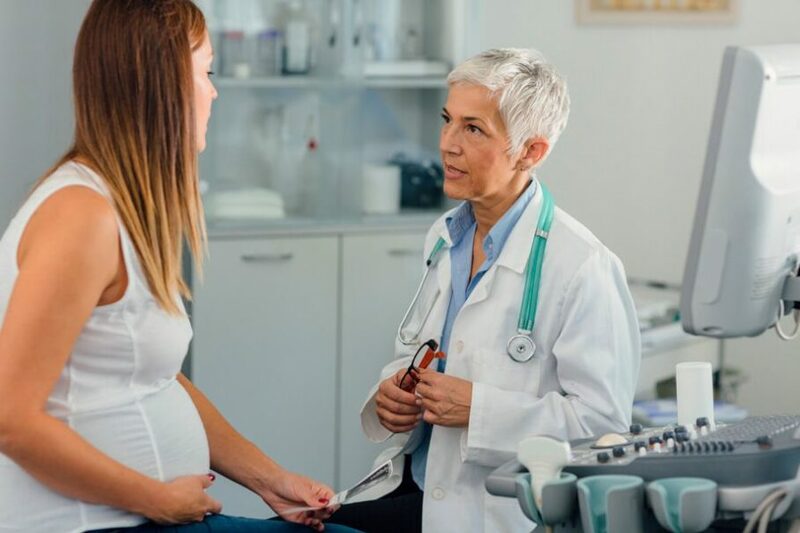 The American Congress of Obstetricians and Gynecologists recommends that pregnant women and women planning to become pregnant avoid the use of Paxil, if possible, because of an increased risk of cardiovascular malformations and miscarriage. In 2005, the FDA asked GSK to change the pregnancy category from C to D — a stronger warning — on its product labeling, based on studies that demonstrated a risk to the fetus by pregnant users. Aside from major depressive disorder and anxiety, Paxil is often an option for patients with premenstrual dysphoric disorder (physical and psychological symptoms that occur before the onset of a woman’s menstrual period), chronic headaches, tingling in the hands and feet caused by diabetes and — when taken with other medications — bipolar disorder. Paxil is an option for patients with premenstrual dysphoric disorder, chronic headaches, tingling in the hands and feet and bipolar disorder. In a 2009 study published in Archives of General Psychiatry, researchers discovered that Paxil had a specific pharmacological effect on personality that is distinct from its effect on depression. In other words, Paxil may affect a person’s personality traits in positive ways, including improving negative emotions such as hostility, self-consciousness and sensitivity to stress. Despite its Category D pregnancy warning and lack of FDA approval for use in patients under 18, Paxil may still be prescribed to pregnant women, children and adolescents as an off-label use to treat depression or other disorders. Every patient is different. What works for one might not work for another. Each patient and their doctor should carefully weigh the risks with the potential benefits before taking Paxil. Doctors prescribe Paxil to balance chemicals in the brain to treat conditions that include depression, obsessive-compulsive disorder, post-traumatic stress disorder and pre-menstrual dysphoric disorder. While Paxil has proven effective in treating these disorders, side effects or other factors may cause some patients to stop using the drug or deter others from ever taking it. A 2014 study from researchers at Northwestern University compared paroxetine (Paxil) to other SSRIs. While it showed similar effectiveness to other antidepressants, Paxil had a much lower tolerability (the degree to which overt adverse effects of a drug can be tolerated by a patient) compared to escitalopram (Lexapro) and sertraline (Zoloft). The study found Paxil also had a higher incidence of sexual dysfunction, withdrawal symptoms (discontinuation syndrome) and weight gain compared to other SSRIs. Fortunately, there are alternatives to taking Paxil. Doctors may prescribe other SSRIs such as Lexapro, which may cause less serious or less intense side effects. However, Lexapro does have a higher incidence rate of certain side effects, including diarrhea. SSRI alternatives such as Wellbutrin (bupropion) or Cymbalta (duloxetine) are also used to treat depression by improving mood. However, these drugs also carry their own unique set of side effects, and all three carry a black box warning for the risk of suicidal thoughts or behaviors. Nonprescription alternatives may also improve mental health. A 2015 study published in Phytotherapy Research found that curcumin, a natural medicine commonly used for its anti-inflammatory effects, can have equal effects to the prescription antidepressant drug fluoxetine, the generic form of Prozac. 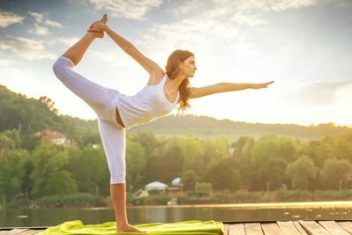 Exercise, yoga, acupuncture and a vitamin regimen may also improve mood and mental health. In the largest health care fraud settlement in U.S. history, GSK in 2012 agreed to plead guilty to a three-part criminal indictment and pay $3 billion in fines and civil penalties for promoting Paxil and Wellbutrin — a smoking cessation aid and antidepressant — for unapproved uses and for failing to report safety data about its diabetes drug, Avandia, to the FDA. The promoting of unapproved uses, a tactic known as “off-label marketing,” included the treatment of children and adolescents. In addition, the drug maker was found guilty of paying kickback to doctors as an incentive for prescribing Paxil, including offering Hawaiian vacations, concert tickets and millions of dollars to go on speaking tours, according to federal prosecutors. Prosecutors alleged that GSK helped publish a medical journal article that misrepresented data from a Paxil clinical trial and exaggerated the drug’s ability to treat depression in adolescents. Although GSK refused to admit any wrongdoing in the civil settlement, the company was ordered to be monitored by government officials for five years. And while the penalties were the largest ever levied, critics contended they were still not enough to deter pharmaceutical companies from unlawful behavior. 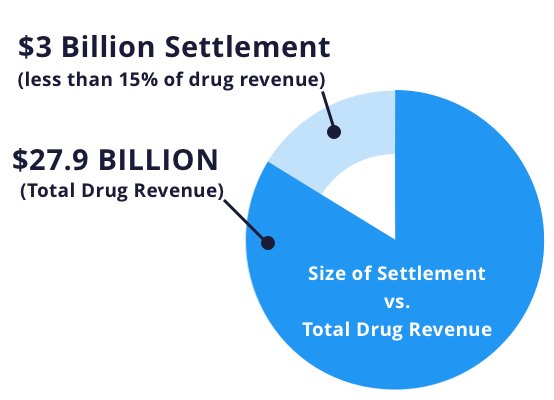 Between the late 1990s and mid-2000s — the period covered by the settlement — GSK sold $10.4 billion worth of Avandia, $5.9 billion worth of Wellbutrin and $11.6 billion worth of Paxil, so the $3 billion settlement was less than 15 percent of revenues for the three drugs. GSK in 2005 voluntarily recalled several lots of its Paxil CR controlled-release tablets because of manufacturing problems at its facilities in Knoxville, Tennessee, and Cidra, Puerto Rico. Several months later, the FDA seized more remnants of the suspect lots after determining that the tablets could split apart. This could potentially cause some patients to receive a portion that lacks any active ingredient or a portion that contains the active ingredient but would not have the intended controlled-release effect. GSK continued production and distribution from the two plants several months after the recall. In 2014, GSK recalled certain batches of Paxil following an FDA inspection of the company’s manufacturing plant in Cork, Ireland. An FDA letter stated thatthe paroxetine drugs were contaminated with material from the plant’s pharmaceutical waste tank.